The form below can be used to initiate your one-time donation. If you wish to setup a monthly donation, please click here. 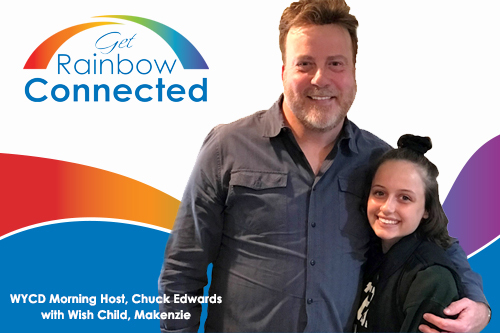 Makenzie is a bubbly 17-year-old who LOVES to cheerlead and “just doing typical teenager stuff.” She lives with her dad and sister in New Haven, MI. On the day after Christmas, in 2017 she was diagnosed with Burkitt’s Lymphoma. The news of her diagnosis was shocking and unreal. Surrounded by her family and friends, Makenzie fought hard. She has been through a lot but is feeling really good now and has returned to cheer, hanging out with her sister, and her “adoring” boyfriend (yes, dad approves). Makenzie and her family will be going to Atlantis, Bahamas in June for a vacation of a lifetime! She looks forward to sitting on the beach, doing a little shopping and swimming in all of the amazing pools. Makenzie is counting down the days!